Silkscreening (ink): Additional silkscreening running charges apply for additional colours on HY1700C Custom Flags. Canada Flag: 2 side 1 colour imprint included. USA Flag: 2 side 2 colour imprint included. 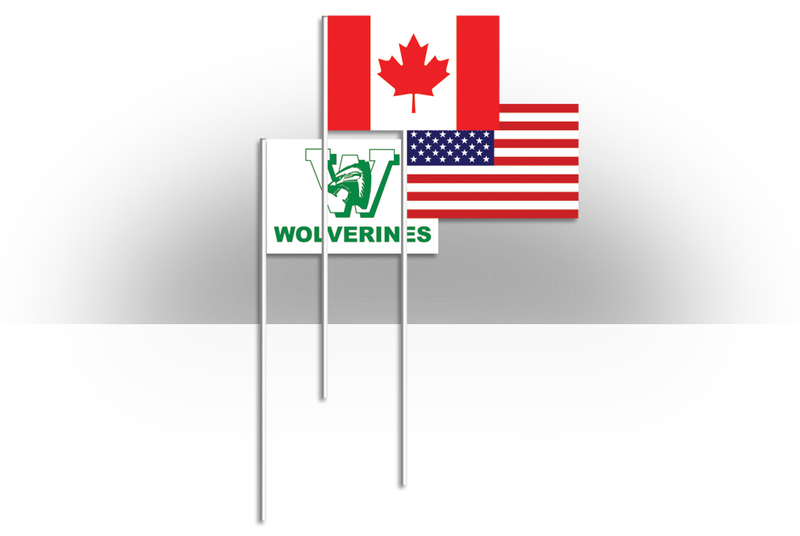 Custom Flag: 2 side 1 colour imprint included.